Prime Minister Visits the Middle East and the Republic of Djibouti, G20 St. Petersburg Summit. And Tokyo elected as the host city of the Olympic Games in 2020. 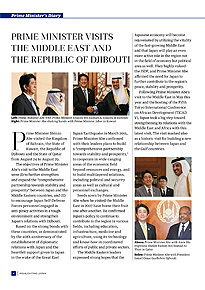 Prime Minister Abe visited the Kingdom of Bahrain, the State of Kuwait, the Republic of Djibouti and the State of Qatar and attended the G20 St. Petersburg Summit, the 125th IOC Session held in Buenos Aires in Argentina. On June 22 this year, it was decided that Mt. 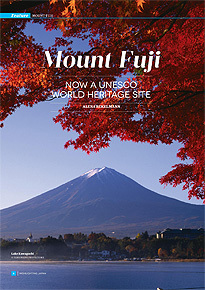 Fuji would become the 17th place in Japan to be added to the UNESCO World Heritage list. 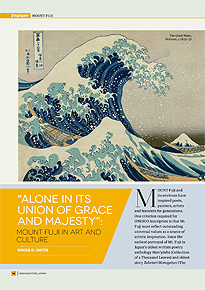 In this issue, we examine the various aspects of Mt. Fuji. A new phenomenon is now taking hold in Japan that is not only eco-friendly but also economical: Car sharing. 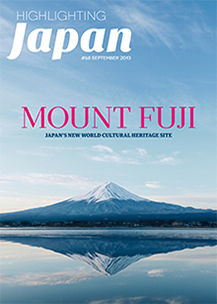 Mount Fuji is an object of faith for Japanese people and a place that their hearts draw support from, as expressed by the official name that it is registered as a Cultural World Heritage Site under: "Fujisan, sacred place and source of artistic inspiration". The culture of faith relating to Mt. Fuji can be generally classified into three types. 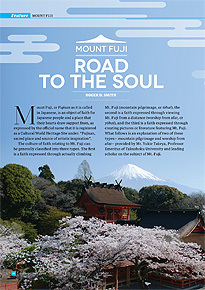 Mount Fuji and its environs have inspired poets, painters, artists and travelers for generations. One criterion required for UNESCO inscription is that Mt. 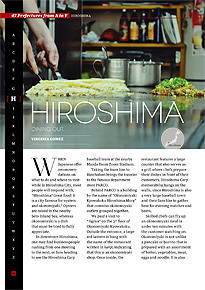 Fuji must reflect outstanding universal values as a source of artistic inspiration. Mt. 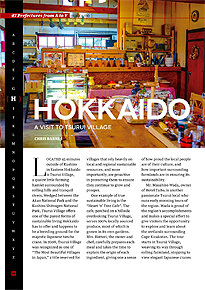 Fuji is a very popular destination for visitors from home and abroad. 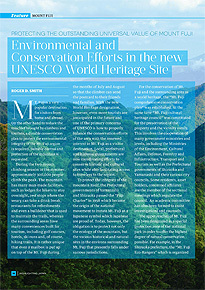 On the other hand to reduce the mischief brought by climbers and tourists, a durable conservation plan to protect the environmental integrity of the Mt. Fuji region is required. Suitable control and protection of the mountain is requested. Many people are inspired to visit Mt. 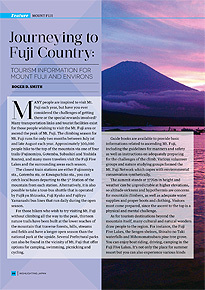 Fuji each year, but have you ever considered the challenges of getting there or the special rewards involved? The moon can be viewed in many ways. In some countries, people see a man in the moon, whereas in others, they see handprints, or a tree. 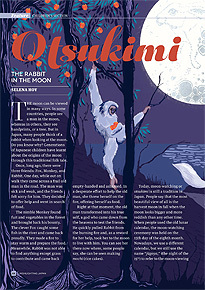 But in Japan, many people think of a rabbit when looking at the moon. Do you know why? 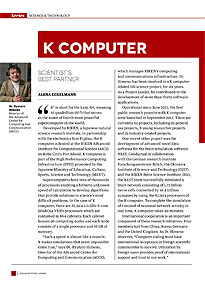 "K" is short for the kanji kei, meaning 10 quadrillion (1016) that serves as the name of fourth most powerful supercomputer in the world. 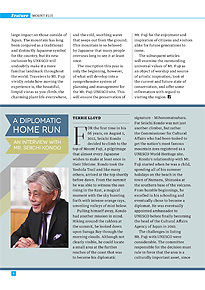 At a comparatively young age, Takako Yamada has already started her own company, travelled extensively around the Philippines in her humanitarian work, become a Global Shaper with the World Economic Forum (WEF) in Switzerland and has earned the kudos of her community back in Japan.